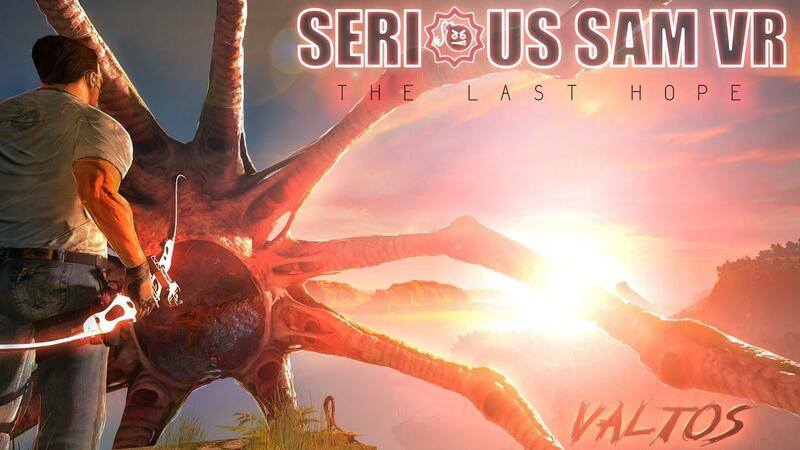 Thanks to a Twitter tip, it seems that Serious Sam VR: The Last Hope [Steam] might be coming to Linux soon with Vulkan. Sadly another game I won't get to experience due to the high price of VR hardware. Anyone here planning to pick it up? Is there an overview of what Croteam is doing, revamping, (re)doing in VR, fusi(onati)ng? Or is it just me losing overview? Eike Is there an overview of what Croteam is doing, revamping, (re)doing in VR, fusi(onati)ng? Great news we are getting more stuff. Can't say I really enjoyed BFE , but surely other people will enjoy this. BTW Liam , the way you worded the title makes the game sound like it's the last hope for Linux. If you like Serious Sam enough to have that be your only VR game for the time being, then SteamVR for Linux is worth it. I imagine it'll really pick up once OpenGL VR performance is fixed up and OpenGL applications can use SteamVR. For now, they need to be ported to Vulkan. I have a vive and yes vive works quite well in comparison to windows (tracking, framerate, graphics). That said there are very few linux games right now http://store.steampowered.com/search/?vrsupport=101&os=linux . Although this implies quite a few, a lot of these have no linux builds as the devs apparently just checked everything when submitting (or so I have read). Hopefully the two best vr games right now Raw Data and Onward will port to linux but I'm not counting on it. It's worth mentioning that Valve considers the current version of the Linux SteamVR runtime to be for developers only, unfit for consumer use as of yet. For one, there's still a significant latency problem that needs to be ironed out. Not true; we also have Munch, Locomancer, Destinations, Dungeon Hero, the Doom 3 VR mod, the Dota 2 VR spectator mode, and Vivecraft. And it's speculated that Spermination can be made to work with some minor modifications to the Linux port. And OpenGL works, it's just that submitting frames to the compositor from a GLX/EGL context is extremely slow and unoptimized, making it unplayable in most cases. I think Vivecraft is using OpenGL on Linux, and gets away with it due to how simplistic and light Minecraft is on the GPU end. Not sure what Doom 3 is doing.